Some movies are just bad. Born bad without an ounce of originality or depth. Without a single imaginative scene or performance of note. “The Roommate” WISHES it were one of those films. This is easily one of the worst movies in recent memory. The film starts with our bland heroine Sara (Minka Kelly) moving into college and getting used to living the dorm life. Her roommate, Rebecca, ends up being an awkward young woman who becomes increasingly weird and possessive of Sara. Rebecca does more and more harmful things to the people she’s trying to “protect” Sara from. Rebecca also finds ways of manipulating Sara to keep her from leaving once Sara starts becoming uncomfortable. Until this final act, Sara doesn’t even really show she’s scared or uncomfortable with Rebecca. It ends up escalating (although there’s no real escalation) to the point of the lame ending. 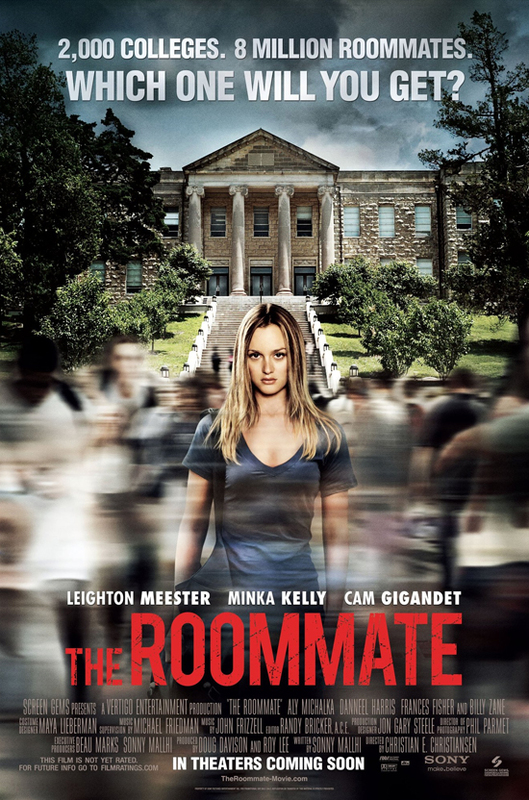 The Roommate is poorly done in every way possible. Everything from showing that Sara was an innocent, ignorant young lady from a small town (who really goes to a frat party and thinks they’re just serving punch? ), to the all too obvious ending that never properly showed the escalation where it would get to that point. The escalation in violence is small, inconsistent, and boring. Nothing massive to the point you’d be creeped out, scared, or even just made uncomfortable, happens. The story is stupid and unoriginal. The directing seems passive, and the actors don’t seem very interested in anything that is going on around them. And don’t get me started on poor little Cuddles. Everything about The Roommate is terrible. The acting, directing, casting, music, cinematography all feel very “made for tv”ish. There is no entertainment value and no reason to watch this movie in any fashion. Avoid at all costs.